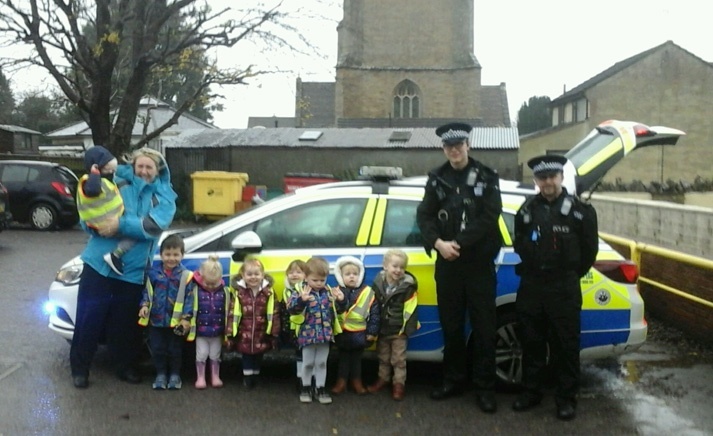 A police car and police officers visited the nursery in Yeovil yesterday morning. Everyone enjoyed meeting them and sitting in the police car. Thank you for coming to see us!